This Jaguar I-PACE has a dependable Electric engine powering this Automatic transmission. WHEELS: 22 5 SPOKE (STYLE 5069) -inc: Technical grey finish and carbon inserts, Tires: 255/40R22 Summer, PHOTON RED, EBONY, WINDSOR LEATHER SEAT TRIM. 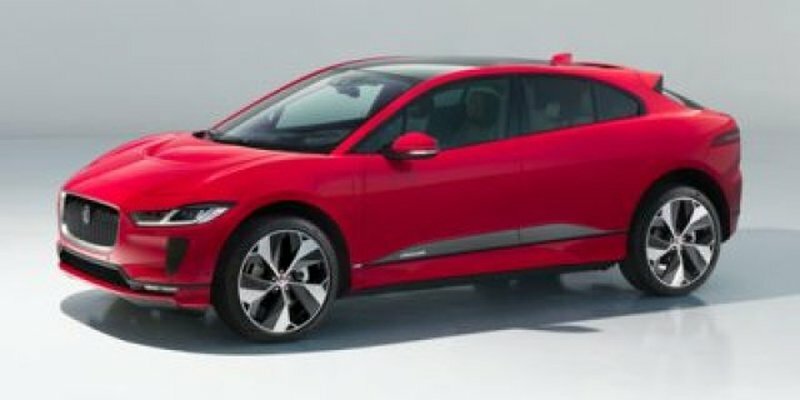 *These Packages Will Make Your Jaguar I-PACE First Edition the Envy of Onlookers*EBONY SUEDECLOTH HEADLINING -inc: suedecloth sunvisors, Wing Spoiler, Voice Recorder, Valet Function, Trunk/Hatch Auto-Latch, Trip Computer, Transmission: Concentric Single Speed Automatic, Transmission w/Driver Selectable Mode, Tracker System, Tires: 245/50R20, Tire Specific Low Tire Pressure Warning, Systems Monitor, Streaming Audio, Sport Heated Leather/Metal-Look Steering Wheel, Spare Tire Mobility Kit. * Visit Us Today *Come in for a quick visit at Jaguar Land Rover Lakeridge, 280 Achilles Rd, Ajax, ON L1S 7S3 to claim your Jaguar I-PACE!This Jaguar I-PACE has a powerful Electric engine powering this Automatic transmission. WHEELS: 22 5 SPOKE (STYLE 5069) -inc: Technical grey finish and carbon inserts, Tires: 255/40R22 Summer, PHOTON RED, EBONY, WINDSOR LEATHER SEAT TRIM. *Packages That Make Driving the Jaguar I-PACE First Edition An Experience*EBONY SUEDECLOTH HEADLINING -inc: suedecloth sunvisors, Wing Spoiler, Voice Recorder, Valet Function, Trunk/Hatch Auto-Latch, Trip Computer, Transmission: Concentric Single Speed Automatic, Transmission w/Driver Selectable Mode, Tracker System, Tires: 245/50R20, Tire Specific Low Tire Pressure Warning, Systems Monitor, Streaming Audio, Sport Heated Leather/Metal-Look Steering Wheel, Spare Tire Mobility Kit. * Stop By Today *A short visit to Jaguar Land Rover Lakeridge located at 280 Achilles Rd, Ajax, ON L1S 7S3 can get you a trustworthy I-PACE today!Prices include all fees except licensing and HST. Yes! Please sign me up to receive e-mails and other communications from Land Rover Lakeridge. And please send me information on products, promotions and other related information. Why Buy from Land Rover Lakeridge?